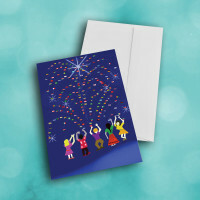 Send a unique and joyful holiday card this season, with a wish for togetherness across the globe. 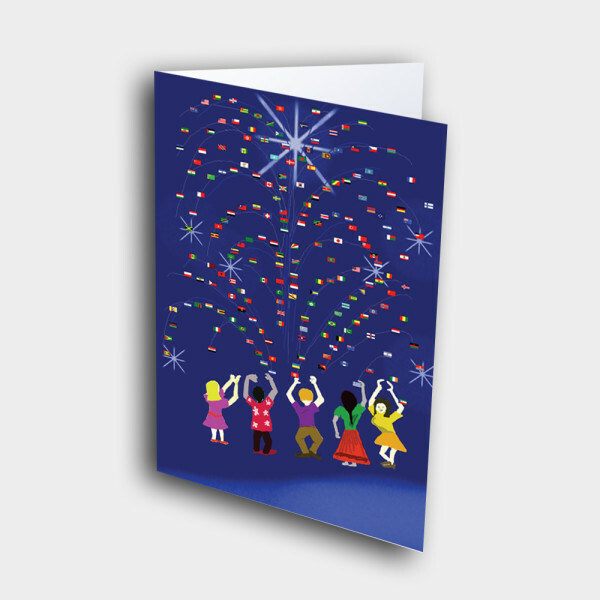 This holiday card's message of peace and solidarity make it perfect for the festive season. 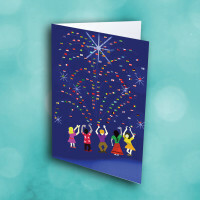 Adorning the deep-blue front is a bright fireworks show of world flags, while a diverse group of friends cheer with joy. 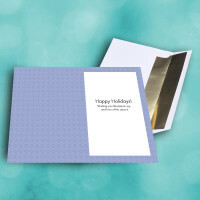 The pale-blue inside is intricately patterned, with a warm message. 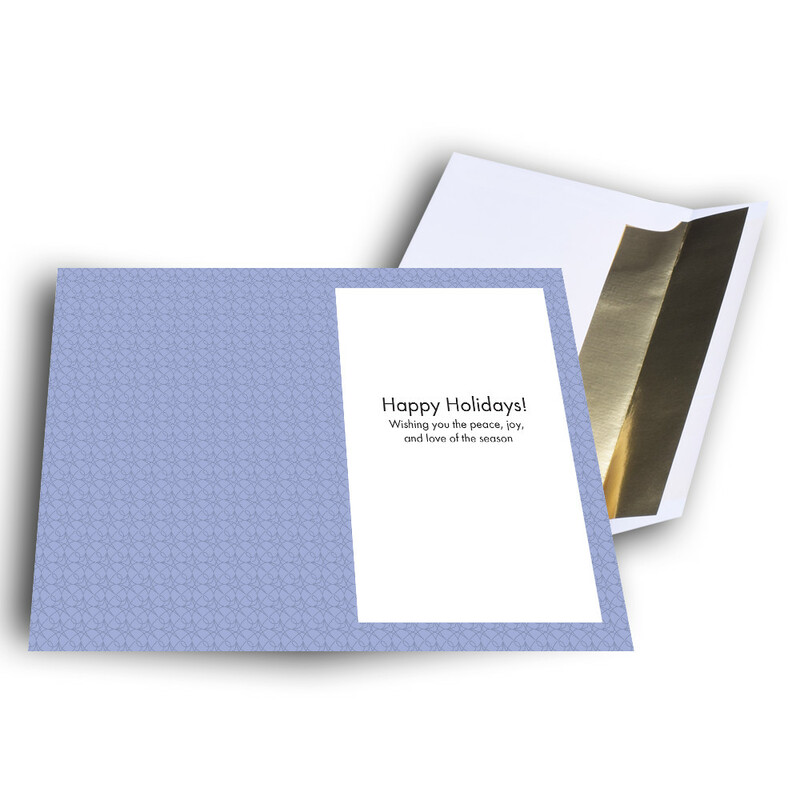 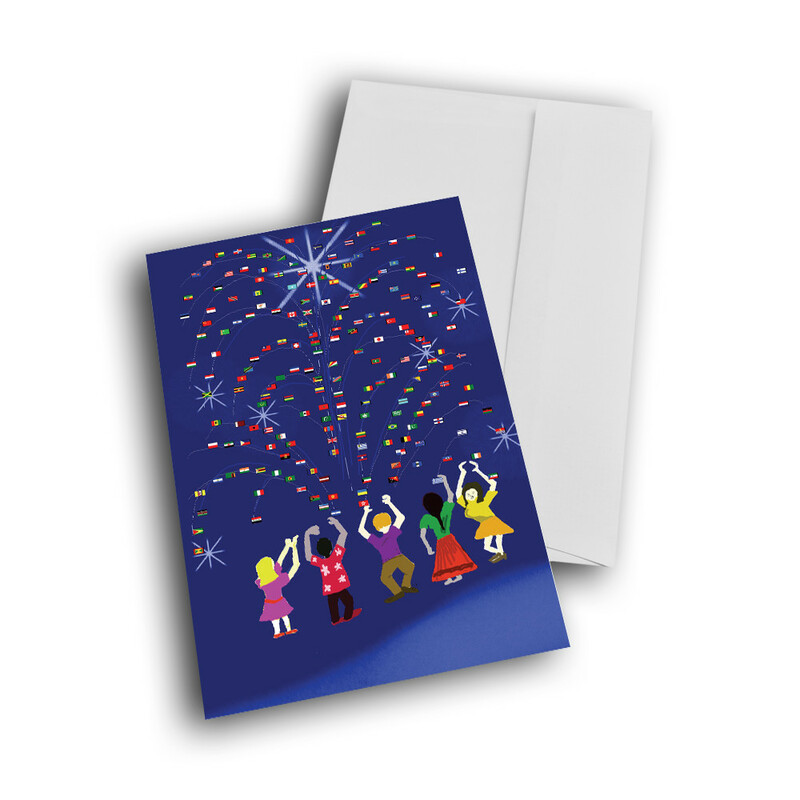 Add personalization to give this card your individual touch.